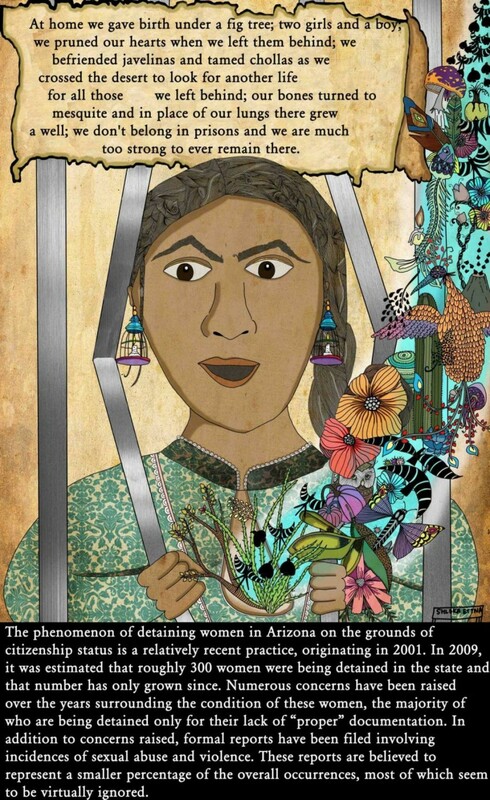 Description: The piece seeks to highlight the condition of immigrant women in Arizona’s horrific detention system. Bio: Shloka Ettna opposes militarization of the Mexico-USA border, the inhumane detention of immigrants in I.C.E. (Immigration and Customs Enforcement) custody, and the human rights abuses perpetuated against migrants. She lives in Tucson, Arizona.